What freight services do you offer? It’s a question we’re asked a lot, here at AM Transport Services. So we thought we’d break it down for you. Think you might enjoy the video version of this blog more? Click here to check it out! But first, what do we really do? We help you deliver your products to your customers on-time. And we do this by offering a full-suite of transportation services–from freight management (we have the best TMS in the business) and logistics consulting to expedited delivery, load optimization, and critical freight services. But the truth is, most brokers will say the same thing. So how do you choose? Well, you figure out what you need. And you find out where you’ll get it. Here at AM Transport, we’re different–in the best way. You see, we’re small, and we’re proud of that. It gives us the opportunity to get to know our customers and carriers. We’re into building relationships because those relationships are at the heart of how we’re different. Did you know that small carriers–those with fleets of between three and 100 trucks–aren’t experiencing the oft-talked about and bemoaned driver shortage? In fact, the smallest carriers–those with one to six trucks have increased the drivers they offer by a whopping 70% in the last six years. We’ve been in the business for 30 years, and we know these small trucking companies. But you’ll have a hard time finding them. They don’t always have a strong online presence because they’re busy hauling loads not building websites. They’re often located in small rural communities. That’s where we come in. We’re small and we’re rural, and we’ve been working with these small carriers for 30 years. We have long-standing and strong relationships, and this translates to increased capacity for you! Do we offer instant truckload freight quotes? Heck no! We care about our customers too much to do that. Most companies who offer instant quotes are simply taking an average rate and padding it to protect themselves. When they can’t stand by it, they drop your load and you’re stuck. What we offer instead are fast freight quotes. We analyze your lanes. We talk to our preferred carriers (you know, the small to midsize carriers with fleets of less than 100 trucks) who run those lanes and like a particular type of freight. And then we talk to our data scientist who runs the numbers every day providing us with volume and capacity shifts in real-time. We factor in internal and true market data to generate a predictive rating. It’s fast, accurate, and pretty cool. Logistics scheduling is time-consuming, confusing, and frustrating. At AMT, we know you have better things to do. Our scheduling technology tracks drive-time and provides hard data that allows us to resolve issues before they occur. 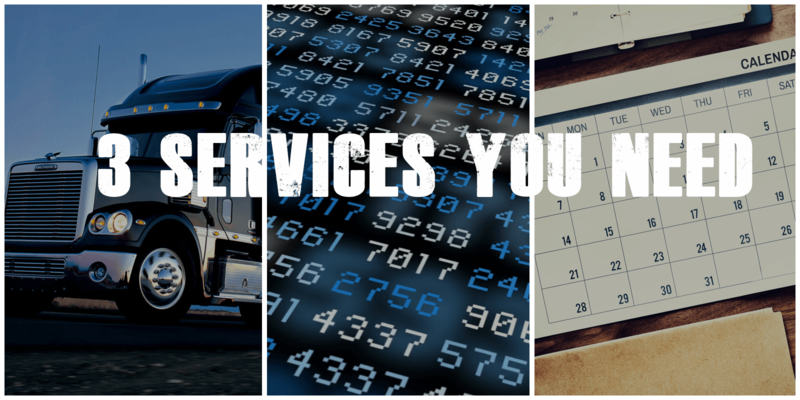 You receive the benefits of our extensive knowledge of pickup and delivery to plan routes and schedule appointments that WILL be made on time. You can work with a large 3PL if you want. But don’t expect the same level of customer service, the same attention to the details that make a difference, and the same access to those small to mid-size carriers who want to move your freight!